For Immediate Release: APRIL 23, 2018, Vancouver, BC: Joining the ranks of Canadian country music stars, Becca Hess is turning heads as a powerhouse musician and singer, bursting onto the scene with a brand new single, and tour dates coming up this summer thanks to recently signing with Sakamoto Agency for Canadian bookings. The first single from Becca Hess’s upcoming sophomore album called Truth, “Stranded” is a joyful love song with a bit of nostalgia, and a personal favourite of the artist. “This song for me is such wonderfully happy anthem about finally finding that one person you could be lost forever with and never look back,” describes Becca. 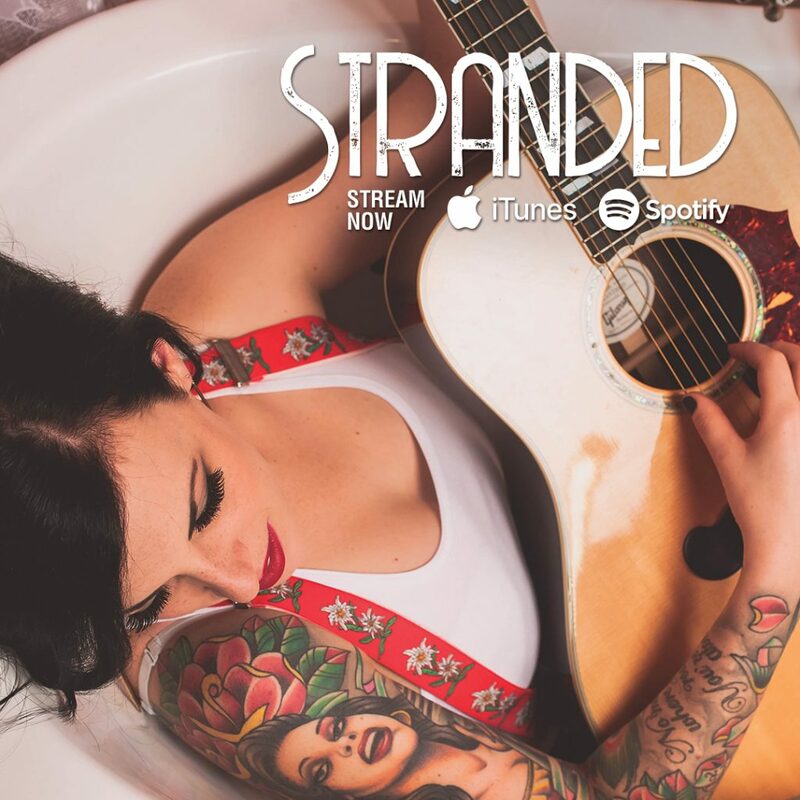 “It came to me at that time in my life, so singing it allows me the luxury of reliving those incredible butterfly moments of falling for the one you’ve been waiting so long for.” Stranded is available April 30th on all purchase and streaming platforms, and available to Canadian radio. Becca Hess is claiming a place as an up-and-coming artist beginning to make a mark. Her voice is as big as the mountains she was raised among, with the ferocity of the rivers running between. Growing up singing in the back seat of her dad’s truck as he toured the country performing shows, to producing tours and festivals herself, Becca’s natural talent and tendency towards the stage is no surprise. With her feet firmly planted in country music’s roots, and her heart following an organic, eclectic approach, Becca Hess is steadily growing her fanbase throughout the country. Having recently wrapped recording on her sophomore album titled “Truth” under the production guidance of Tom and Carly McKillip (CCMA Producer of the Year awards/nominations) and bolstered by two years working with Nashville producer Byron Hill, Becca Hess is hitting the road for performances and radio visits throughout summer 2018, in anticipation of the record release coming in the fall. Equally at home on an intimate stage or in front of a festival crowd, she’s held her own opening for Big & Rich, The Band Perry, Gretchen Wilson, Travis Tritt, Trooper, Wynonna, Dwight Yoakam and more, bringing poise, passion and punch to every performance she delivers. Her self-released debut single “It Ain’t Even Raining” worked its’ way up the Canadian charts, and the accompanying video aired for 6 weeks on TNN’s Top Ten as ‘Rising Star’. In 2016, Becca released “Fool My Heart” and “Mountain Child”, which garnered three ACMA nods and BCCMA nominations for both “Rising Star” and “Female Artist”. Fall 2016 also saw Becca appearing on a series titled “Payday” – airing on Viceland Canada. The cameras followed Becca for two weeks while bartending, playing shows, writing songs and working production on Three Days Grace concerts. Living immersed in the world she belongs to, Becca has done all this amongst the last seven years of producing tours and major festivals. Spending time on big stages is just another day at the office for Becca, and this background has only served to further hone her skills and stoke the fire of musical passion. Please contact Joelle May to coordinate reviews, premieres, interviews etc. ~ Produced live music events ranging from Snoop Dogg to Alice Cooper to Kenny Rogers, the BC Country Music Awards, Canadian Country Music Hall of Fame shows and more since 2010.